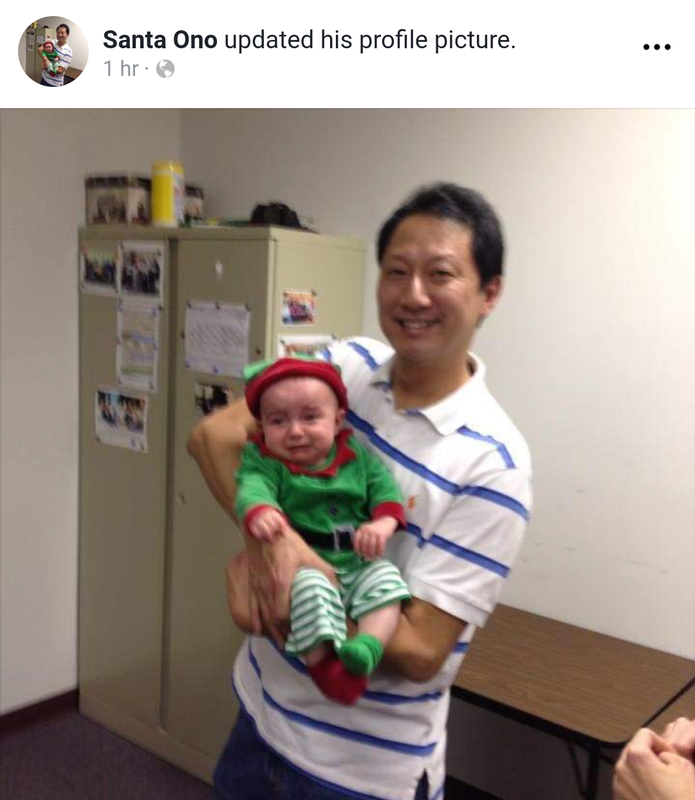 The image in question, featuring Santa Ono cradling a crying baby, was taken from the president’s Facebook page, which became his profile picture sometime around 6 in the morning. It has been since changed, and I’d like to note that Ono’s page updates its profile picture and cover photo at an impressive rate. 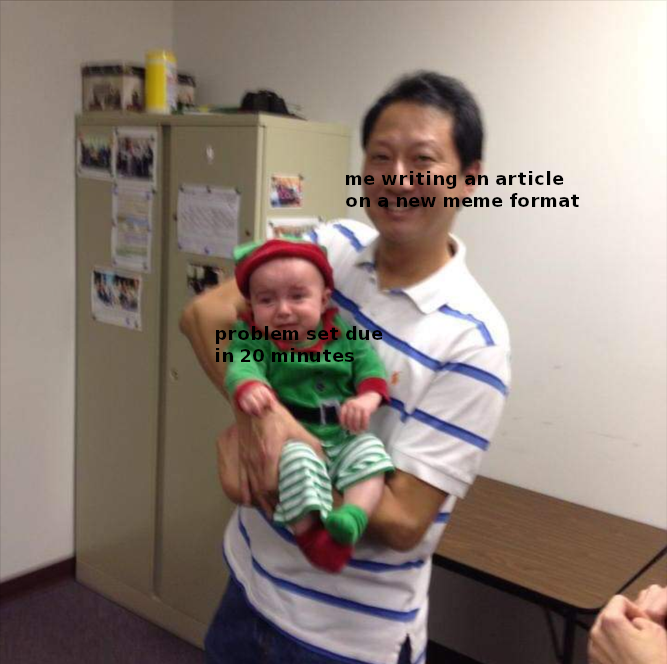 Users on the subreddit have recognized the image’s potential as a meme format. /u/teamwaterwings was one of the first, with these two coming from a comment on the inaugural post. The dramatic lighting and angle. The expressions of the two figures. 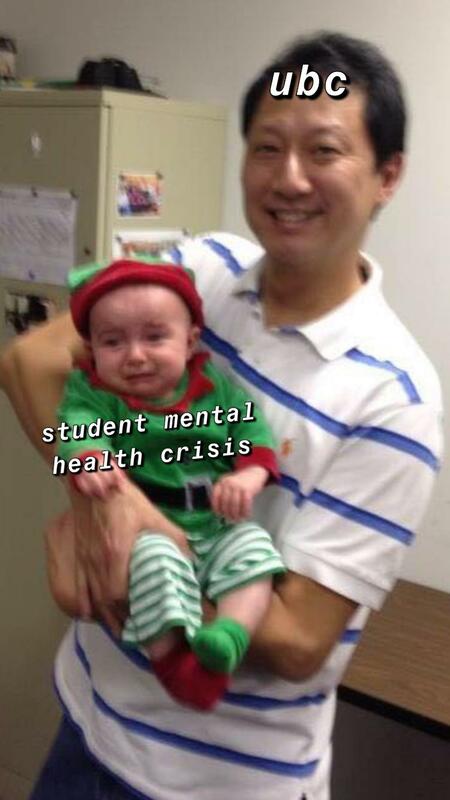 It all adds up to a great new meme format.